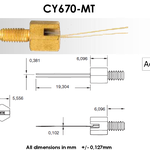 The CY670 Series silicon diodes offer a more accurate reading of temperature ranges compared to previously marketed silicone diodes. 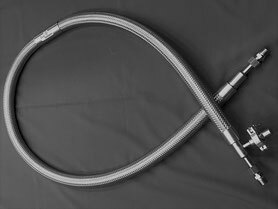 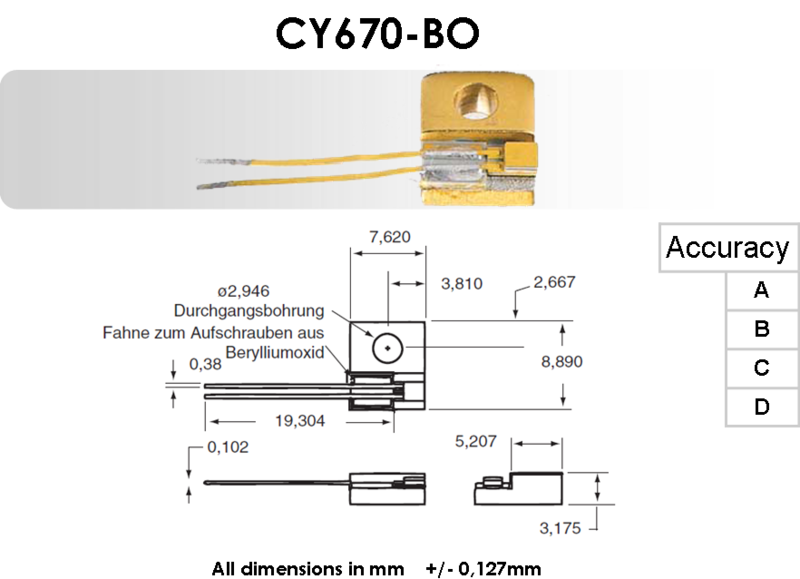 Conforming to the curve CY670 standard voltage vs. temperature response curve, sensors within the CY670 Series are interchangeable, and for many applications they do not require individual calibration. 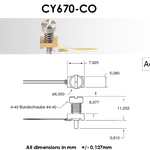 CY670 Series sensors in the SD package are available in 5 tolerance bands–3 for general cryogenic use across the 1.4 to 500 K temperature range, and 1 that offers superior accuracy for applications from 30 K to room temperature. 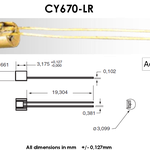 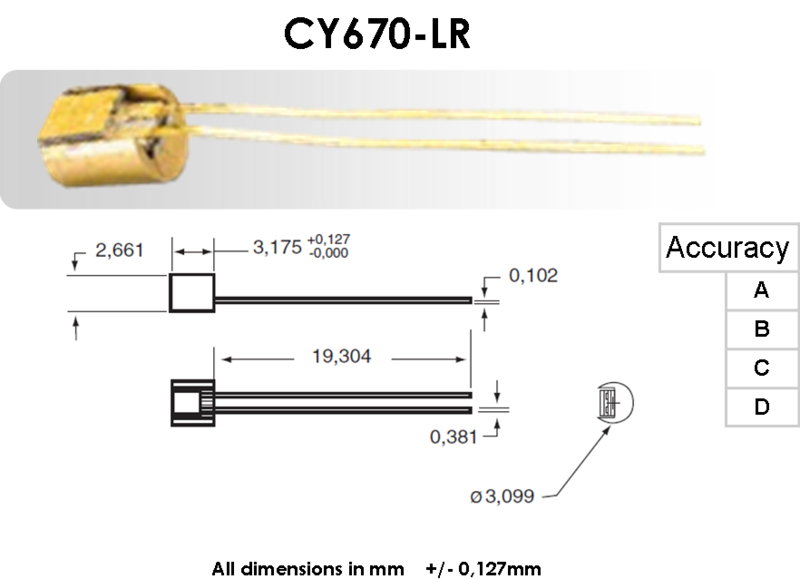 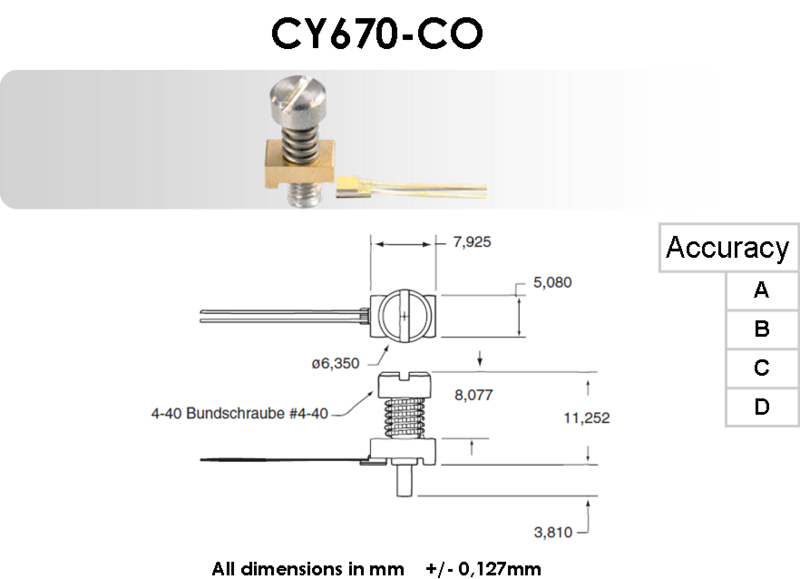 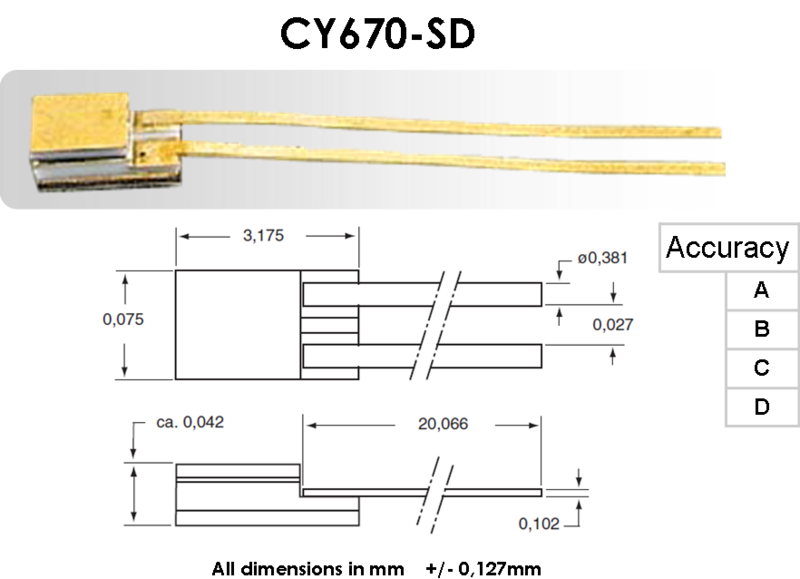 The CY670 Series sensors also come in a tolerance band (E), which is available only as a bare die. 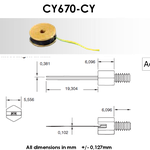 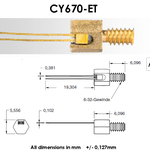 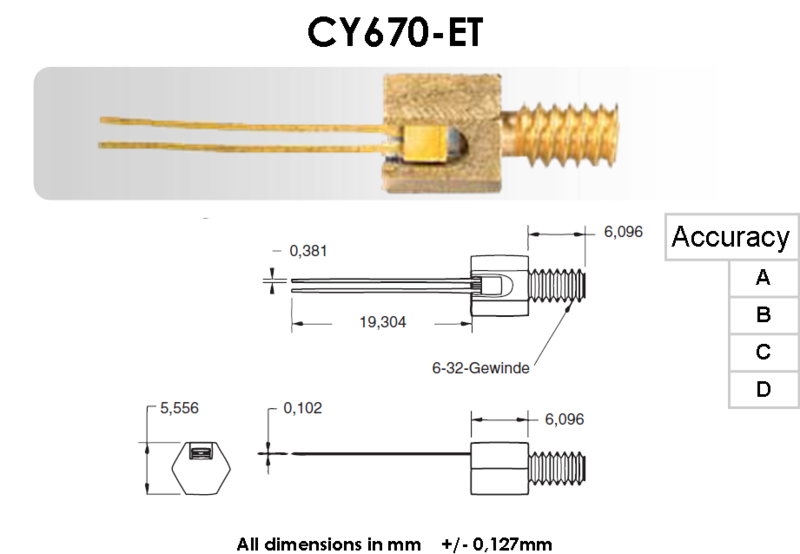 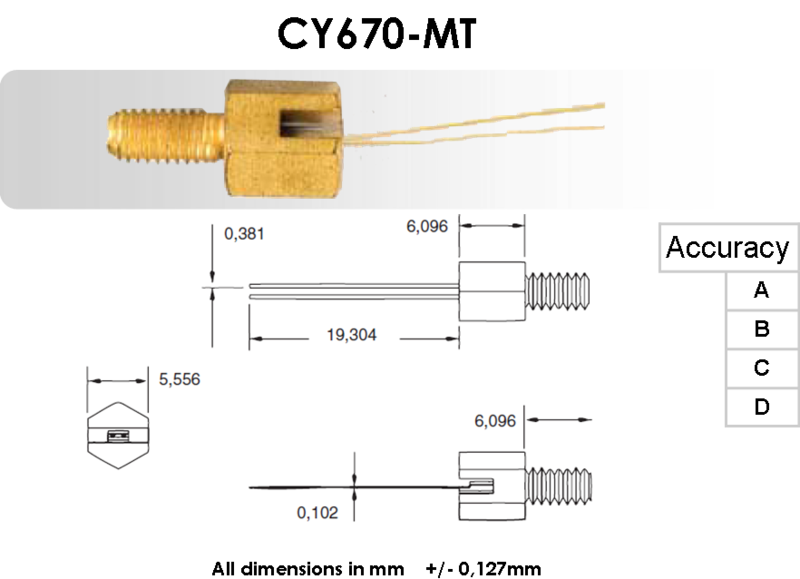 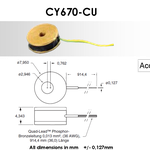 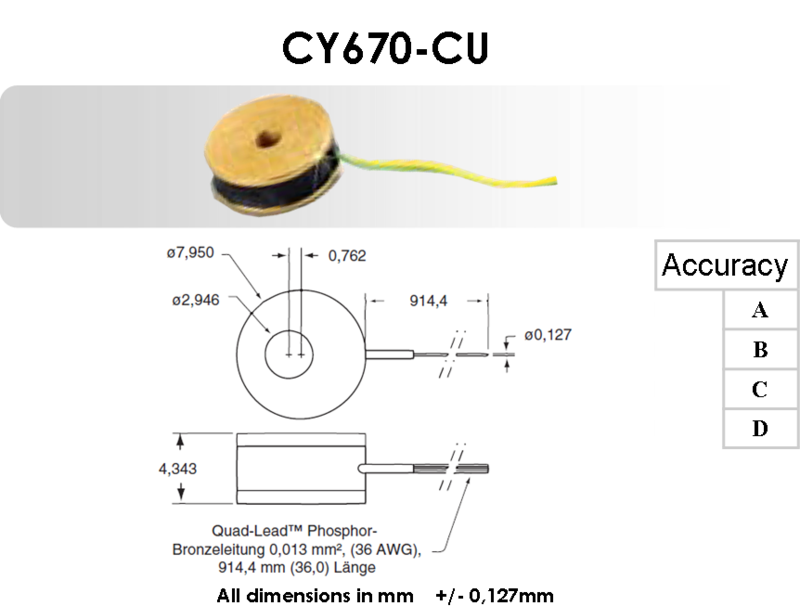 For applications requiring greater accuracy, CY670-SD diodes are available with calibration across the full 1.4 to 500 K temperature range. 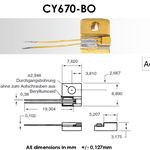 The CY670E bare die sensor provides the smallest physical size and fastest thermal response time of any silicon diode on the market today. 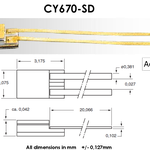 This is an important advantage for applications where size and thermal response time are critical, including focal plane arrays and high temperature superconducting filters for cellular communication.